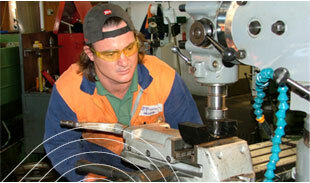 Advance Mechanical Services NZ Ltd is a long-established engineering company based in Morrinsville, New Zealand. We undertake maintenance for the diary and other industries, and provide fabrication and precision machining services for clients throughout New Zealand. 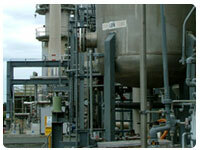 We are able to deliver complete engineering solutions for a wide range of customer needs. Our Morrinsville base includes a fully equipped fabrication and machine engineering workshop, together with an administration office. In addition, we have a close relationship with Fristam Pumps, and have added a dedicated pump assembly area to our worksite. AMSNZ Ltd's commitment to providing exceptional and cost-effective engineering services has seen the company grow steadily over the past number of years so that we now possess the resources and ability to design, fabricate, and install plant and equipment for a wide range of commercial and industrial clients. We employ a dedicated team of qualified tradespeople who possess the technical expertise, dedication and capability to ensure that our customers receive the best possible service and results. In addition, our administration team have proven systems in place which contribute to the efficient operation of the company. The management and staff of Advance Mechanical Services NZ Ltd look forward to working with you to provide well-designed and manufactured solutions for your business needs.